Kindness, not just for one day. Coincidence speaks – and why Barefoot Doctor is my first speaker for Conscious Living Events. On trawling through suitable images that invoke Kindness to assist the promotion of a Conscious Living Event (CLE) with Barefoot Doctor, this image popped up! Our “Power of Kindness – a form of self defence” Day Workshop has been booked for months on this very date 13 November, and we had no idea until NOW! Brushing aside any sense of feeling a bit stupid, I stand up in wonder at another coincidence connected with this man; researched further and found that indeed November 13 was declared World Kindness Day in 1998. This revelation occurred on the second New Moon in late September and is a timely reminder of the continually supportive and magical work of Barefoot Doctor, Stephen Russell, and how my experiences with his Taoist Ways over many years, have brought me to a pivotal place; asking him to be the first speaker for my new, established events company. Wow! So, yes I am bravely stepping up to taking the helm at Conscious Living Events, whilst dear Claire Quartel opens her majestic doors to your gorgeous conscious crew in Totnes with Living Now Events. I officially ‘take command’ on November 1, but as you can imagine, have been in planning mode all summer. Claire is an gifted teacher, mentor and friend and has most easily and understandably shared her wisdom so far, with great insight and shining intelligence. I am blessed. She did, however, offer the opportunity rather out of the blue, at the beginning of the summer. Shock! I knew in my heart it was the right move but quite how to make it work? I handed over to the greater powers and practised Radical Trust, still do. Claire asked me: “Who would you like your first official Conscious Living Event guest speaker be? I thought of all the brilliant speakers we’ve had at Conscious Living Events over the 4 years and how each and every one of them has enhanced my understanding of life’s mysteries in some special way. Behind all of these fantastic speakers and underpinning my personal journey has been over the years, and I suspect always will be, Barefoot Doctor! If possible, it had to be him. Fortunately I am in touch with him via Chi Time Radio, and he came to Bournemouth for a Barefoot on the Beach day event at the beginning of the summer, where I asked him if would do me the honour of being my first guest for a day workshop, remembering he’d already done an evening event for CLE both in Devon and Bournemouth, several years ago now. I was so thrilled when he agreed, he even suggested a Retreat; another time, another country methinks. Kindness came through as the theme for the day, it was one of those moments of truth you just get sometimes, aha yes! When we looked at dates, the only one possible was November 13, I wondered if that may clash with Remembrance Sunday this year – yes it does, although clash isn’t quite the right word, being in awareness of the Yin Yang of it all, to be in a kind state, advocating self defence, not glorifying military offence. Neither of us had picked up on the date being in alignment with an already organised Kindness celebration and yet it was there at the very foundation. Wonderful fun! 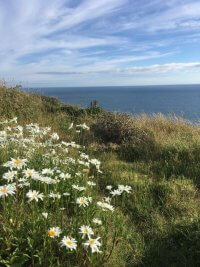 I first came across Barefoot Doctor, in a Sunday supplement magazine in the 1990’s sharing salient Taoist philosophies and practical advice that made sense, I would make sure I got hold of it every week – these are the days before online access. 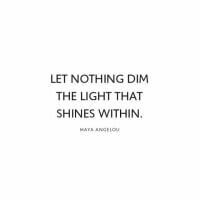 He has what I thought was an uncanny way with topics of relevance, as whatever aspect of the Tao he was shining forth seemed to always resonate with the areas I’d been studying or steeping in. I now know he is plugged in to the psychical mainframe. The coincidental flavour of his texts inspired me to get hold of his first book ‘Handbook for the Urban Warrior’ where I marvelled at how he translates and presents potent ancient Taoist philosophies for contemporary true-life questers. I find his writing engaging, inspiring, humorous, practical and informative. Never pretending to be a guru, yet is a world class teacher, renowned acupuncturist/healer and music producer, who fosters one’s own inner guru. I followed most of his publications thereafter, soaking up these paradoxical Taoist truths and then I found his music, wow! When he marries conscious mediations with subtle beats and quirky sounds, I go to a whole other level of inspiration. The Sonic Healing cycle is incredible. Groove is in his heart. Next came the weekly Sunday evening Satsang, an online meeting hour, timed nicely after teaching Chi Kung often at the weekend. By now I had left home! was house sitting and travelling around the South of the UK in my little Ka, complete with laptop and dongle. I tuned into Wi-Fi networks on the road whilst getting to know which New Forest and sea shore car parks had good reception. Dropping into shared sacred space and observing from a background perspective every Sunday, was a true ‘in the flow’ point of reference for me, a checking in time, a place to feel just right for just now. I am eternally grateful for the consistency of spirit this man offers – yes he has been known to screw up from time to time, but don’t we all? I feel more at ease with a teacher who does not shy away nor hide from his shadows. This inclusive approach ripples out to us, his students, we are all being the best we can and this shifts from day to day, minute to minute. Balance will find you, we are designed for it, all the way through. Managing the transience of our lives from the view of an eternal observer feels very real and right to me. I am reassured, guided, cared for and inspired by what I have come to ‘know’ as genuine benevolence from the Cosmos, that has my back, is my back. Barefoot Stephen, has reiterated this salient point time and again. I thank him for all the teaching which has and still does flow through him to me and over to you, through and through. This coincidence is another on the road with Barefoot Doc, confirming why he is my first official speaker for CLE plus all the others reasons, some of which I’ve illustrated above. I so wish to both honour him and share with you some of what he’s assisted me with. A whole day in his presence will change you for sure, for the very much better. I’ve witnessed this time and again – if he triggers anything uncomfortable for you, then that is ready to move and clear on out. He will tune in completely with you and ascertain what’s required, kindly, with an approach that will elicit an ease of flow throughout your being. As it’s all about Kindness, you can’t really go wrong, seeing Kindness as a form of self defence is a perfect approach for disarming most would be assailants, physical, mental, emotional or irrational. 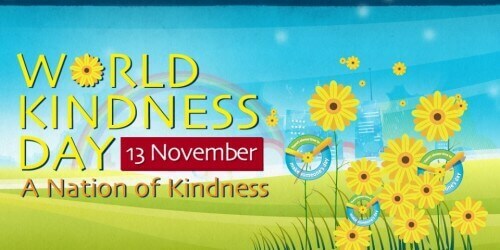 I’m astonished to have uncovered that all around the world on November 13 Kindness Chi, will be hugely activated. Wow!! Let’s bask in the benevolence of true Kindness all together now and not just for one day! 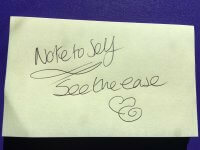 See here for loads more info on the Kindness Day to Power up your innate self-defence. Under my steerage CLE will continue to welcome new speakers and seasoned teachers in true self-empowering natural practices as Evening Events, One Day Workshops, Trainings and Weekend Retreats. Take a look at who is lined up over the next many months here.